SKK Chronos Ace Lite Announced, Equipped With 5 Inch HD Screen For 2499! Home / mobile / news / skk / SKK Chronos Ace Lite Announced, Equipped With 5 Inch HD Screen For 2499! 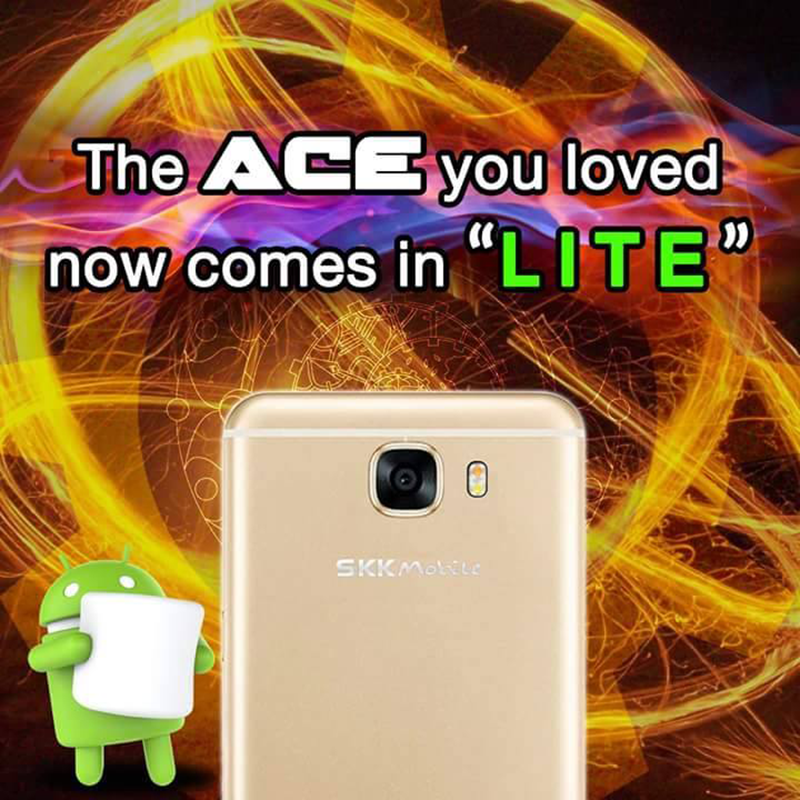 SKK Mobile has introduced a "Lite" variant of their popular Ace and Ace+. Unsurprisingly named as the SKK Chronos Ace Lite, it is another entry-level phone with good specs for the very low asking price. Checking what this handset has to offer, it reminds us of what we saw with the first Ace. It's equipped with a 5 inch HD screen, 1.3 GHz quad core processor, 1 GB RAM, 8 GB of expandable storage, and runs with Android 6.0 Marshmallow OS. What's different here is it has a lower 5 MP main camera and 2 MP selfie camera. The battery capacity is slightly bigger at 2,300 mAh though. 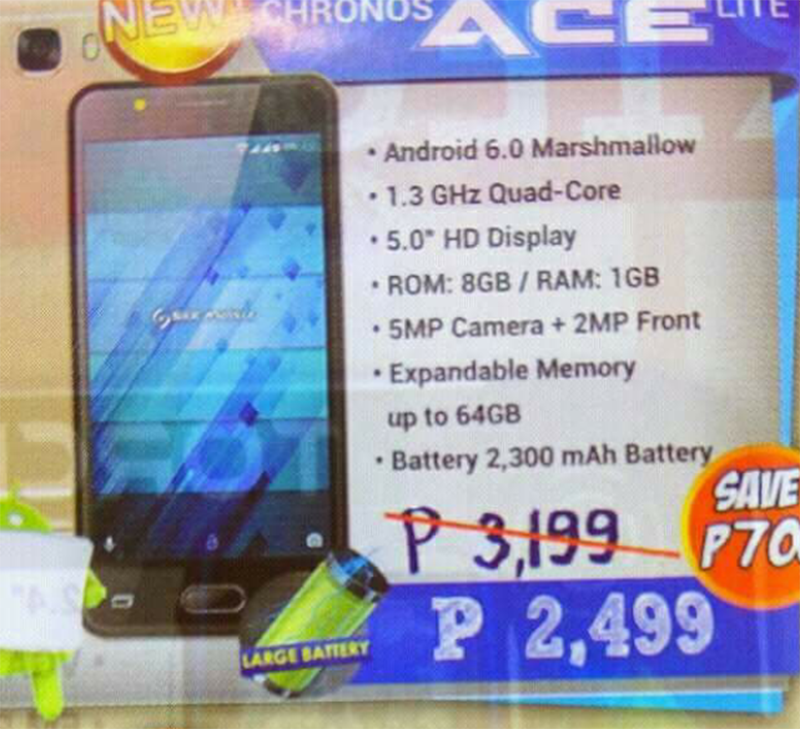 The SKK Chronos Ace Lite retails for PHP 2,499 only. Thanks for the tip DC!